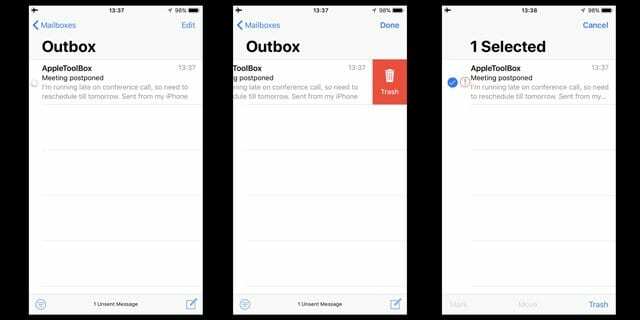 Recently I had an email with a few attachments that wouldn’t leave my iPhone’s outbox! It showed a spinning wheel and seemed to hang there for days. And that was utterly destroying my battery AND unnecessarily consuming data. 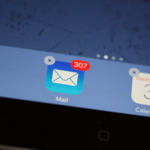 If this situation sounds like you, here are some tips to remove stuck or unsent email from your outbox. Emails sometimes get stuck on their way to the destination. You often find these emails stuck in your “outbox” folder. On its own, it is rarely a big problem however the problem can get magnified when the email size is huge in that it contains several attachments or photos, videos, music, and media files. This often leads to battery drain issues consumes lots of cellular data on your phone as well. You fix this problem relatively quickly by removing the “stuck” message from your iOS device by following the steps below. Before you proceed to remove the email, please make sure that the account setting is right on your phone. If you are using Gmail, please Check your Gmail account settings to verify that you haven’t entered your account information incorrectly. 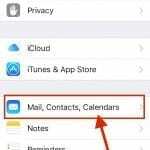 To do this, tap Settings > Accounts & Passwords (or for older iOS versions, check Settings and tap Mail or Mail, Contacts, Calendars.) 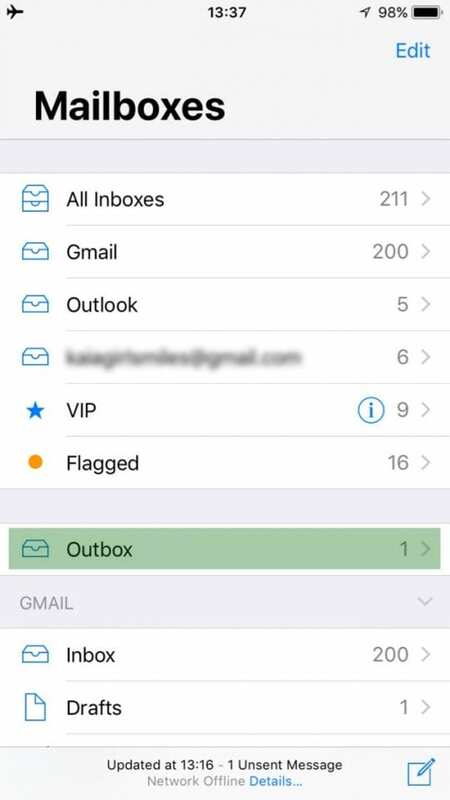 Tap your Gmail account and verify the information on the screen. If your account settings are right and the phone is connected to cellular and wifi without any issues, you can proceed to these steps below. 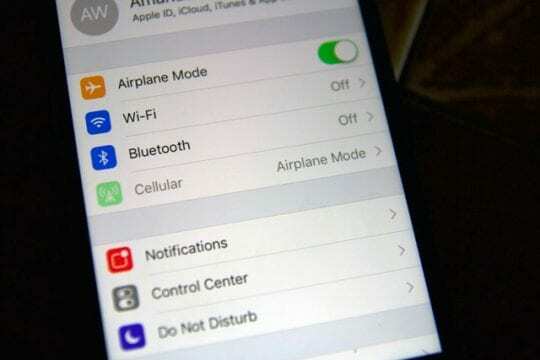 Switch your device(s) out of the Airplane mode and return to the mail app. 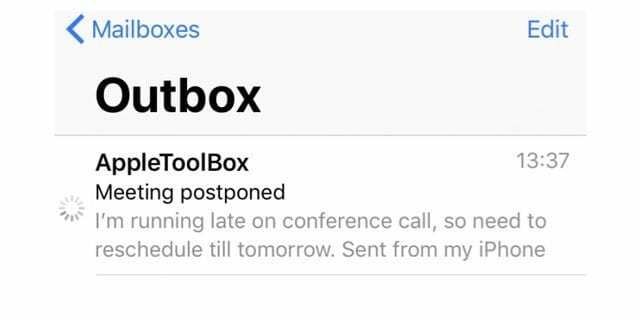 You should no longer see the stuck message on your email outbox. Finally, power down your iPhone and then start up normally. 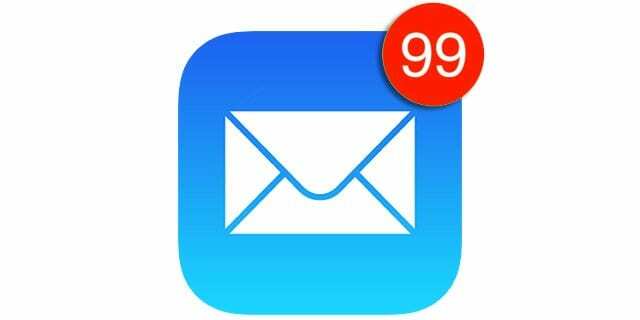 Reader Jen reminds us to also turn off the mail feature on ALL your iDevices that are using the email account with the “stuck” email. I couldn’t get mine to delete until I remembered that I also receive emails on my ipiPadOnce I turned off email on my iPad and followed the steps above, I was finally able to get rid of that annoying stuck email! A video file was stuck in my outbox for weeks. I deleted that particular email account from my phone and then reinstalled it. All of my emails came back as they were already on the email server. Once the reinstallation was complete, the file that was stuck in the outbox was gone! I had to close the multitasking windows, but once I did, the edit button displayed and I put that file in the trash! Please let us know if you had any issues in removing the items by providing your comments below. 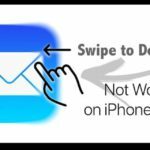 Swipe to Delete Mail Not Working on iPhone or iPad? I had an email w/video in outbox just “spinning away” and could not delete it. I tried deleting in airplane mode without success. I turned the phone off and back on, airplane mode, outbox and deleted successfully. Thanks for mentioning trying a second time if it doesn’t work at first!!! This solved my problem instantly. Ingenious! Thanks. 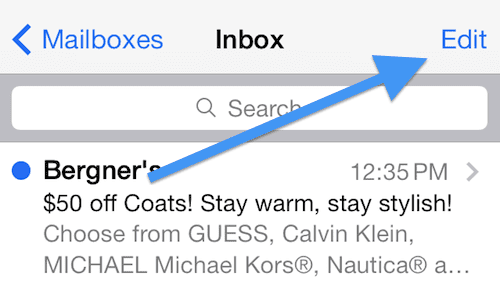 Also turn off the mail feature on ALL your IOS devices that are using the email account with the “stuck” email. I couldn’t get mine to delete until I remembered that I also receive emails on my ipad. Once I turned off email on my ipad and followed the steps above, I was finally able to get rid of that annoying stuck email. Awesome advice! We love it. Thank you for sharing it with us–we’ll add it into the article, cause yeah, a lot of us have multiple devices (and Macs too!) Thank you again for sending us your insights. 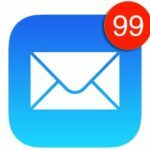 How do I get rid of an old deleted email that keeps randomly attaching itself to outgoing emails? Is it an actual email that gets attached or an old email address? Why is Apple constantly refusing my Apple I.D. Password? especially when there is an app requiring an update? I have removed the app. concerned, but Apple still ignores my password. 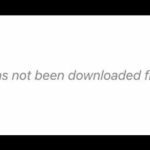 Also, there are some stubbornly recurring ‘sent’ emails that refuse to budge ……it’s about time Appple Inc sorted these problems out. It doesn’t inspire confidence in Apples’ security. 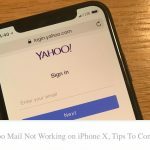 Please go to Apple’s website for Apple IDs using a computer not a iDevice and verify that your Apple ID and password is correct and that there are no outstanding issues on your account. If everything is okay and you are able to log in with no problems, please contact an Apple ID Customer Support Team and outline the problems you’ve reviewed here and anything else going on with your ID. The Airplane mode trick is not working. I have even tried turning off account on my phone, went to icloud deleted all drafts, tuned phone back on – turned email account back on, turned on Airplane mode again. The offending email just keeps spinning and the edit tab doesn’t work. The mail I have in the outbox is continually trying to load documents from Scanner Pro. 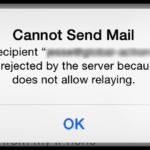 But the documents would not load up and now the mail is continually in a load up mode without ever doing so. Consequently the message is stuck in the Outbox and am unable to clear it in the normal Airplane mode way. thanks for the tip! worked well!